2019 will celebrate one of the greatest feats of early aviation – the centenary of the first non-stop transatlantic flight in history, completed by John Alcock and Arthur Whitten-Brown. 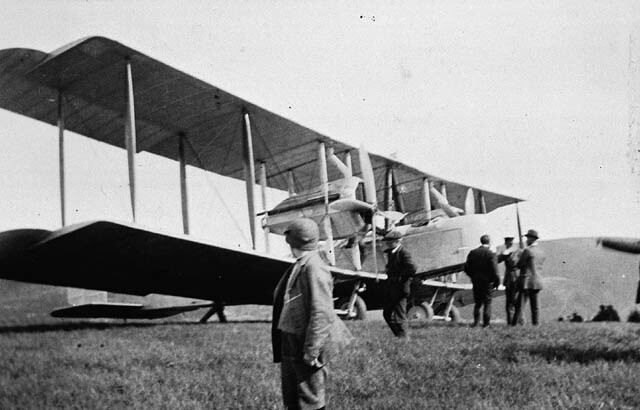 Starting from St John’s, Newfoundland in their Vickers Vimy biplane, Alcock and Brown made history as they landed in Clifden, Connemara, Co. Galway 16 hours and 28 minutes later, with Alcock famously being the first person in Europe to announce “Yesterday we were in America”. Launching the celebrations will be Tony Alcock MBE, nephew of Sir John Alcock, as well as Brendan Griffin, Minister of State at the Department of Transport, Tourism and Sport. RTE’s Ryan Tubridy, who was awarded the freedom of Connemara in 2011 and who has a close connection to the area, will be in attendance to support this significant event in Irish history. Speaking at the event will be Terence O’Toole, President of the Connemara Chamber of Commerce, and Brendan Lynch, Author of “Yesterday we were in America: Alcock and Brown – First to Fly the Atlantic Non-Stop”. We would love you to come along to learn more about their extraordinary journey and to celebrate one of the most significant flights in history. Refreshments and finger food will also be served. A press photographer will be present on the day but there will be an opportunity for press to take pictures at the event also. Please advise if you are sending a photographer.